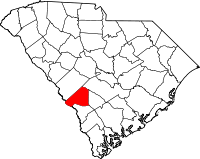 Barnwell County is a county in the U.S. state of South Carolina. As of the 2010 census, the population was 22,621. Its county seat is Barnwell. This page was last changed on 8 March 2019, at 07:52.